We are a Headshop and Body Piercing Studio with an extensive range of jewellery and accessories. 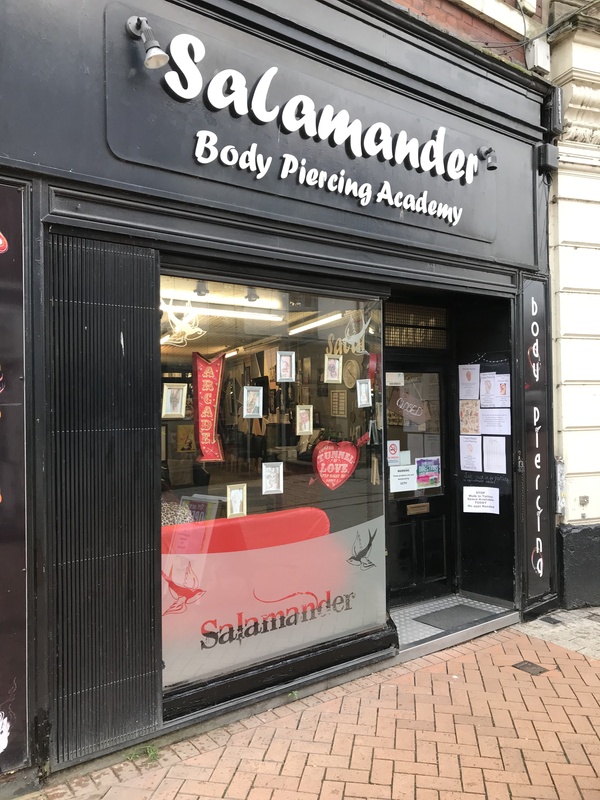 Skin Deep Piercing Studio located inside Salamander was established in 1996 with experienced staff on hand everyday, Skin and Ink Tattoo Studio opened in 2009 and the tattooist have over 14 years of experience with our main artist Tez being a magazine featured artist. We also sell a range of band t-shirts, incense sticks and other giftware.All your smoking needs including pipes, bongs, blunts, scales, grinders and rizlas.